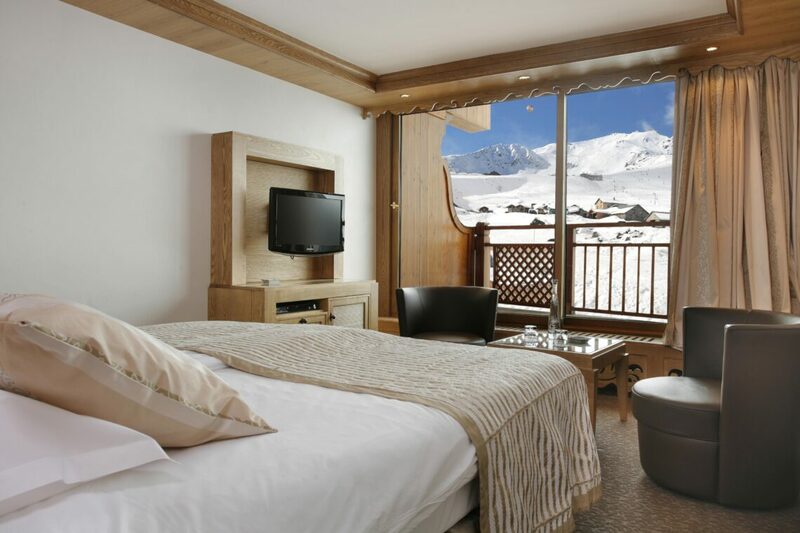 At the very top of Courchevel 1850, the Annapurna really can boast poll position. 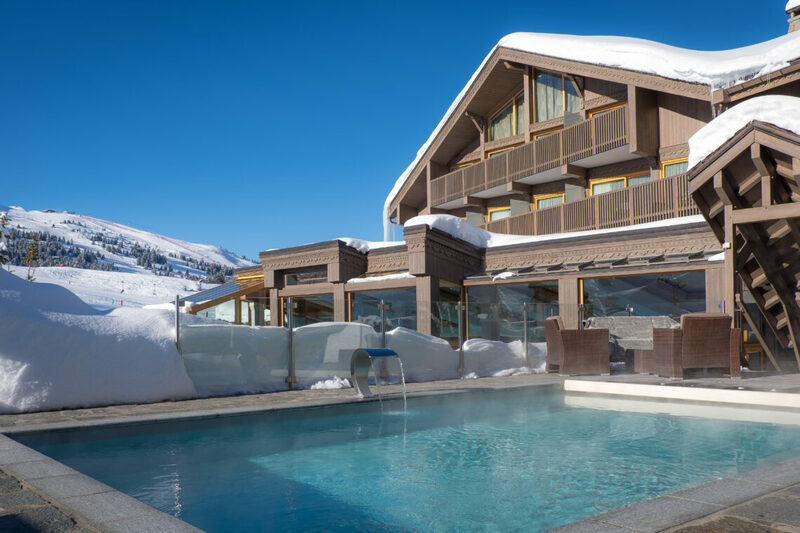 Modern on the outside, and traditionally alpine on the inside, this family run hotel prides itself on its Courchevel heritage. Guests who love the finer things in life return year after year and are always greeted by name. 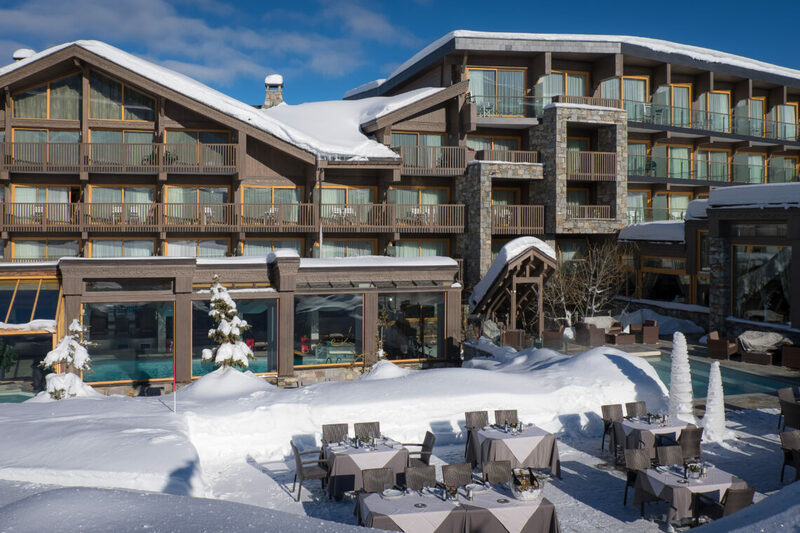 Spacious and comfortable rooms and suites face over the wide bowl of 1850 and up to Saulire, whilst the terrace and outdoor pool are arguably the best place from which to watch skiers all day. 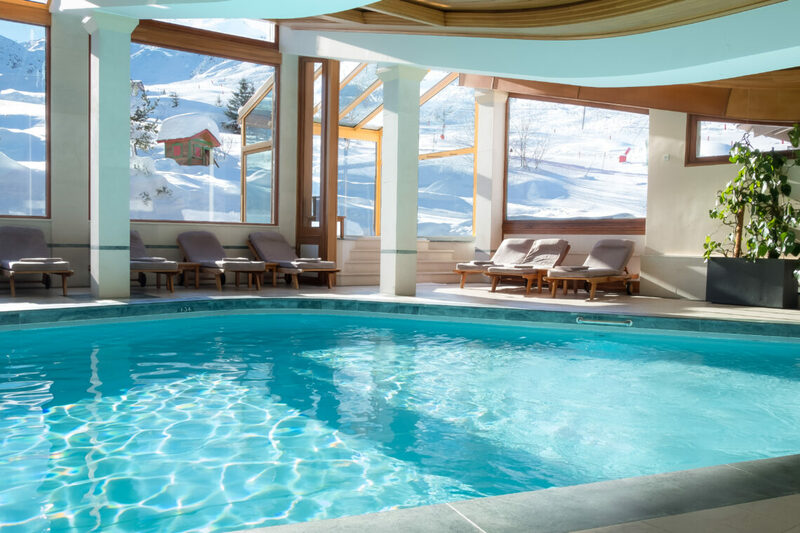 Or take off your ski boots and sit back for some après-ski. 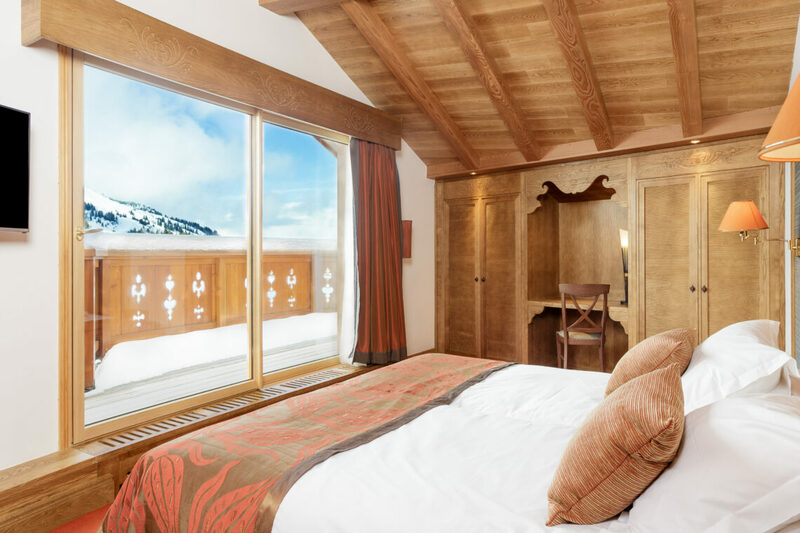 Wherever you stay at the Annapurna, the highest hotel in Courchevel, you’re guaranteed a fabulous vista. 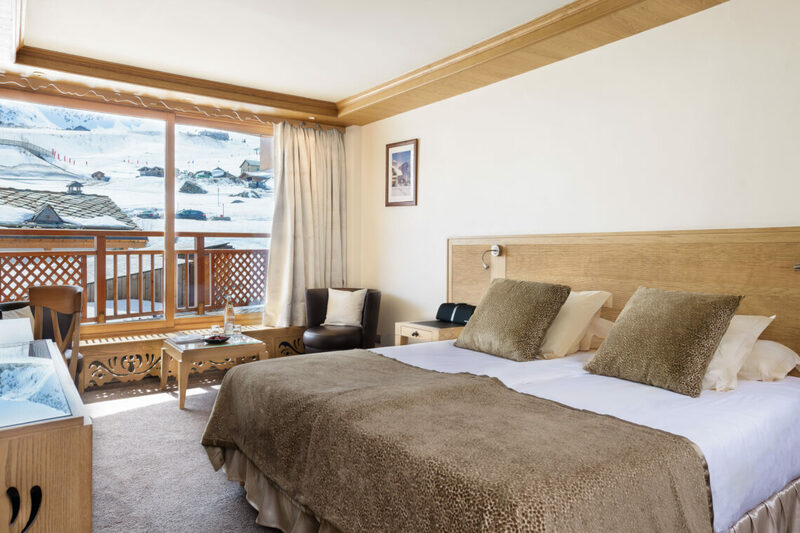 The standard rooms have large double or twins, with en suite shower rooms and some can interconnect for families with children. 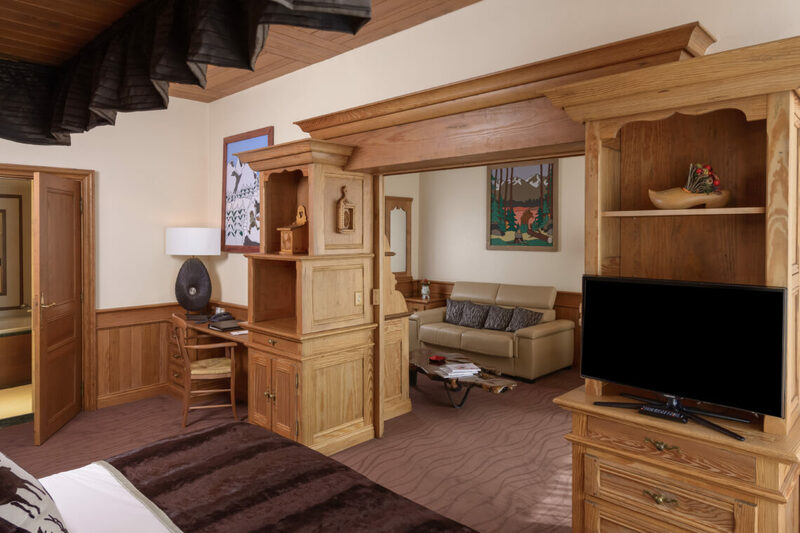 The Saulire rooms are slightly larger with a south-facing balcony, and can either interconnect with each other or with a Junior Suite or Suite. 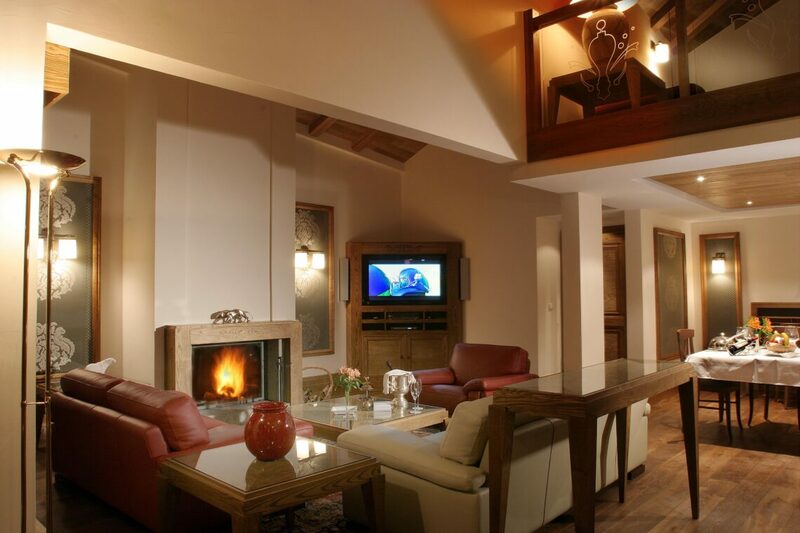 We recommend the larger Family rooms that can sleep a family of up to five, and which also have interconnecting options. They are very spacious and have a good sized balcony. 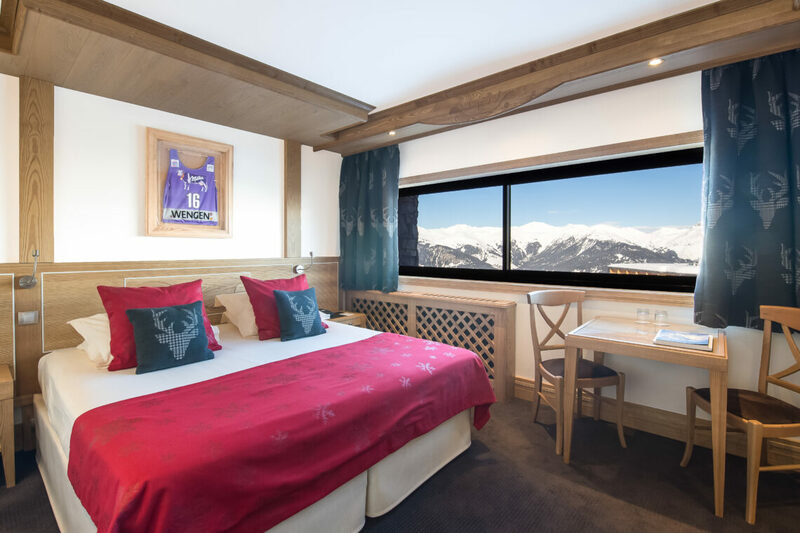 The Junior Suites have enormous beds and feel really light and airy with their floor to ceiling piste view windows. 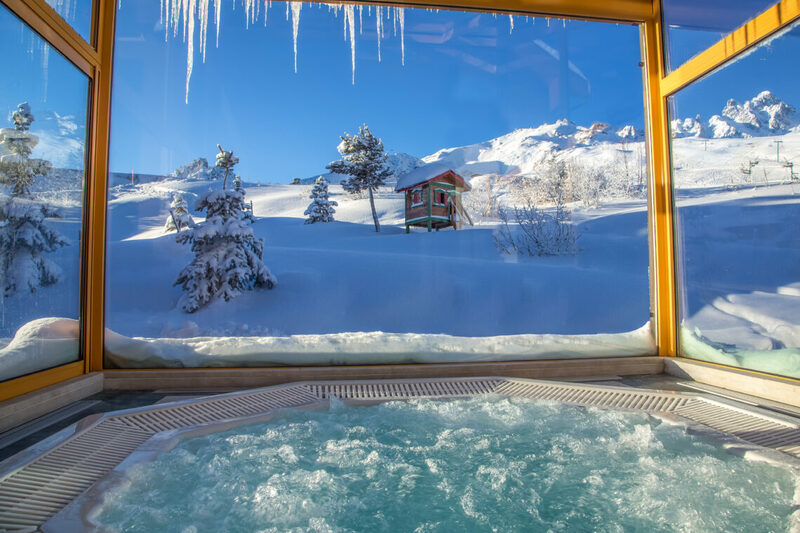 The Annapurna, K2 and Makalu Suites are luxury apartments, whilst the Everest Suite really is five* slope side living with its own sauna and hot tub. The Annapurna has a real international feel to it, and the menu reflects this perfectly. The gourmet lunch and dinner menus have a delicious selection of world and traditional regional dishes, which you can enjoy inside or out on the very sunny terrace. 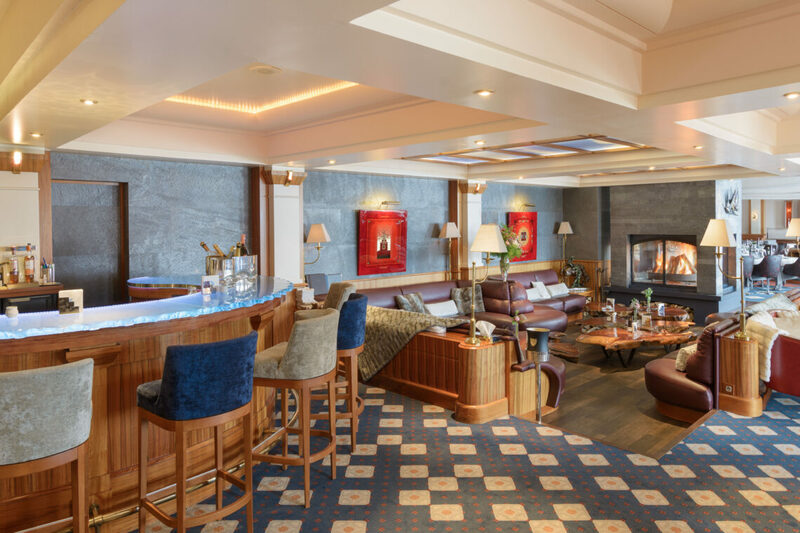 The piano bar is a mellow place to relax at the end of the day next to the fire. It couldn’t be easier to get children out onto the slopes each morning from the Annapurna’s ski in / ski out location. 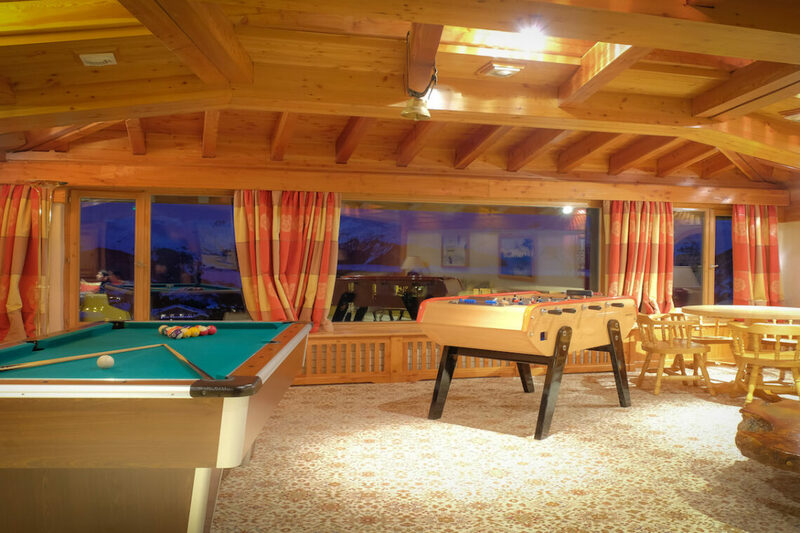 The hotel is well set up for families, with a childrens’ playroom (aged seven and under) and a games room for older kids. There is also a babysitting service. The temperature in the Annapurna’s indoor and outdoor pools is set at a very pleasant 30 degrees. 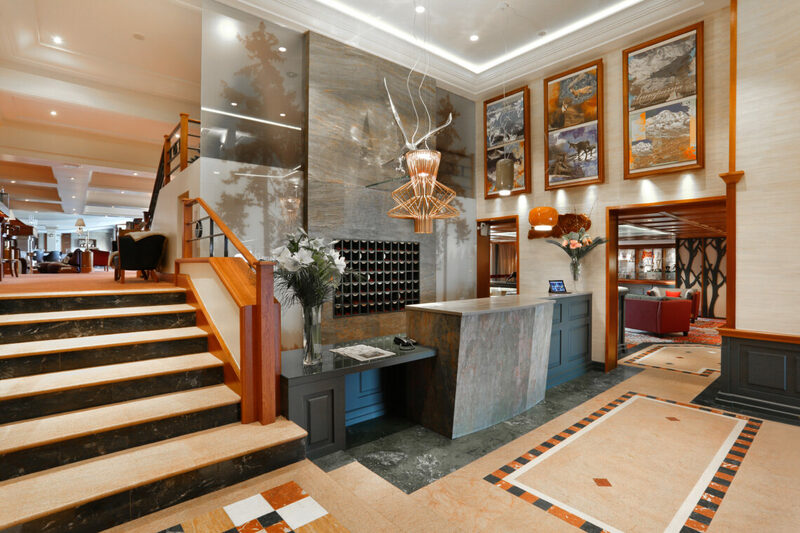 The Spa has saunas, Turkish baths, Jacuzzi and a physiotherapy suite and a range of treatment and therapies, which we would be happy to book for you in advance. For the more energetic, there’s also a fitness centre, and if you’re not happy with your helmet hair, there’s a salon. The hotel has its own ski shop where you can rent all the equipment you need as well as buy any kit you may have forgotten to pack.